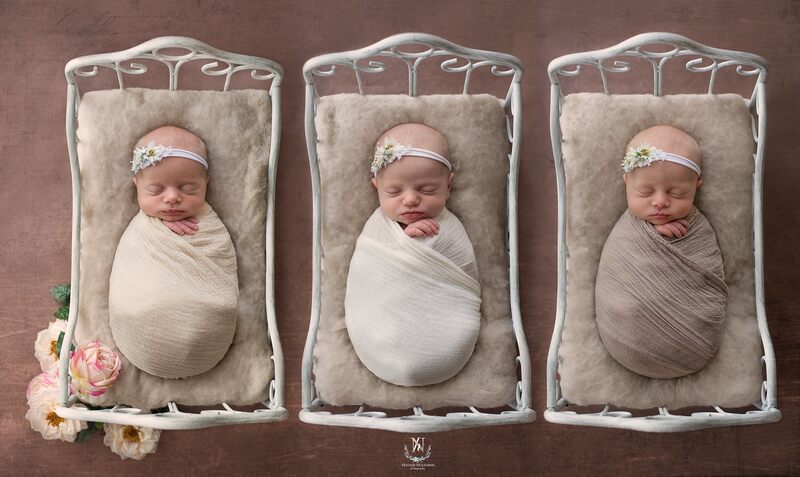 They say good things come in threes and never has that been more true than when a parent is blessed with triplets (and you as the photographer who gets to capture it all!) Triple the fun and triple the pleasure. This newborn digital backdrop caters for triplets with plenty of room for all the family! But… we all know that triplets are a rare gift, and therefore why invest in a possibly one-off digital backdrop? This backdrop is also perfect for composites of the same baby in different poses (yawning, stretching, crying etc) which will give a bucketload of character, personality and cuteness to your photography portfolio. You can find the Triplets bed digital backdrop here.